In The Modern Kosher Kitchen, cookbook author Ronnie Fein, of Hip Kosher fame, infuses her fresh takes on American regional cuisine with international flavors, and offers inspired, boldly flavored recipes that are flexible enough to work for weeknights and special occasions. 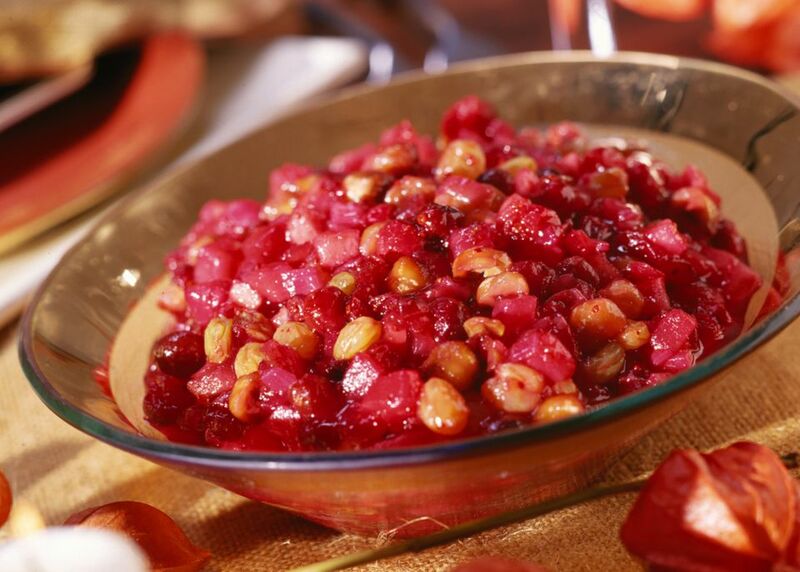 Fein created this Cranberry and Pear Chutney to serve alongside Panko-Crusted Turkey Cutlets, but the easy-to-make recipe would be the perfect addition to the Thanksgiving table. It would be a shame, though, to save this chutney for a once-a-year occasion -- make a batch to enjoy with cheese, on sandwiches, as a topping for potato latkes, or as a condiment for grilled meats or fish. 1. Place all the chutney ingredients in a saucepan. Mix and bring to a boil over high heat. 2. Reduce the heat and simmer the ingredients for about 40 minutes or until the sauce has thickened. Let cool. Store in the refrigerator.